Grassy mountains, magnificent waterfalls, curvy roads and granite cliffs- all key features of Kodaikanal- gave us company during Dussehra (this year). Situated 2000 m above sea level, Kodaikanal had been on our wishlist for quite some time because people raved about its beauty and weather. Finally, this Dussehra, we jumped on the bandwagon and executed our plan by exploring this picturesque location. Kodaikanal is a small hill station that has quite a lot treasured. Unboxing this treasure trove was not difficult, for we had charted out our route map and studied the possible routes properly. Below is the image that marks the circular route that should ideally be opted for in order to save time and cover as much as possible. ByAir: Kodaikanal doesn’t have an airport but worry not, for the closest airport is just 120km away in Madurai. Other options include Trichy airport (150 km) or Coimbatore airport (175 km). Bus service is available from the airport to the main city of Kodai. Tourists can opt for rail transport and get down at Kodai Road which is about 100 km away from the mainland of Kodaikanal. There are many trains that run on most days of the week. Regular overnight bus service is available from many main cities to Kodai. We would suggest Redbus for booking AC sleeper bus. Knowing that exploration is the real essence of human spirit, we would always opt for road trips rather than using any other mode of transport. Kodaikanal is easily accessible from Bangalore, Chennai, and other main cities. The panoramic landscapes are alluring! 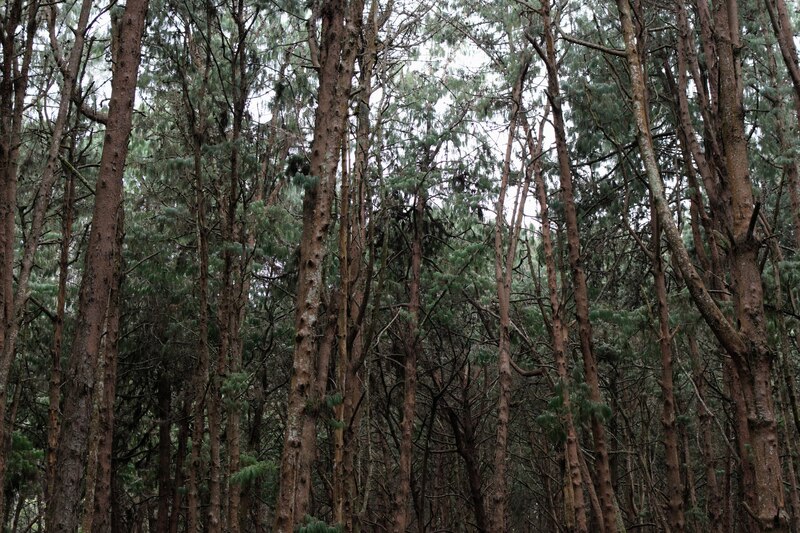 Our trip to Kodaikanal was by road and we would be lying if we say that it was boring. The smooth highway with hills on either side offered some of the most scenic views. 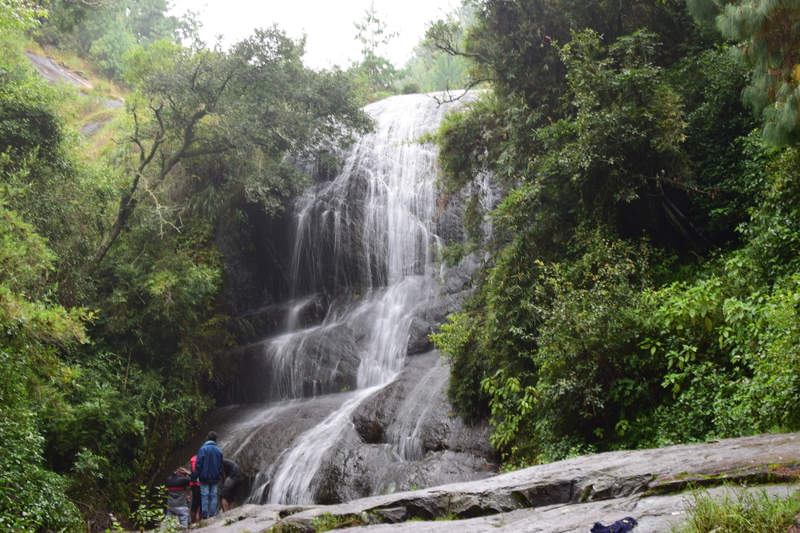 On the way to Kodai, we came across Silver Cascade waterfall. We stopped there and had tea. We reached our hotel by 3:00 PM and rested for a while. At about 5:00 PM we walked towards the Kodai Lake and also explored Croaker’s Walk. Croaker’s Walk: The entry ticket is priced at 35 INR. It is a narrow but paved pedestrian path that was constructed by Lt Croaker in the year 1872. The path offers scintillating views of the valleys and in rarest occasions can also give a glimpse of the rainbow cutting across the clouds. The path is one kilometre long and has market lined at the side. Items sold are very expensive and thus, it is advisable to either bargain or buy from the market near the lake. Bryant Park: After Croaker’s Walk, we ambled for an hour or so in Bryant Park. Honestly, Ooty’s Sim’s Park is a much better choice than Bryant Park. Even though the park has a cornucopia of green trees, it becomes a little monotonous as you make your way through the grassy patches. 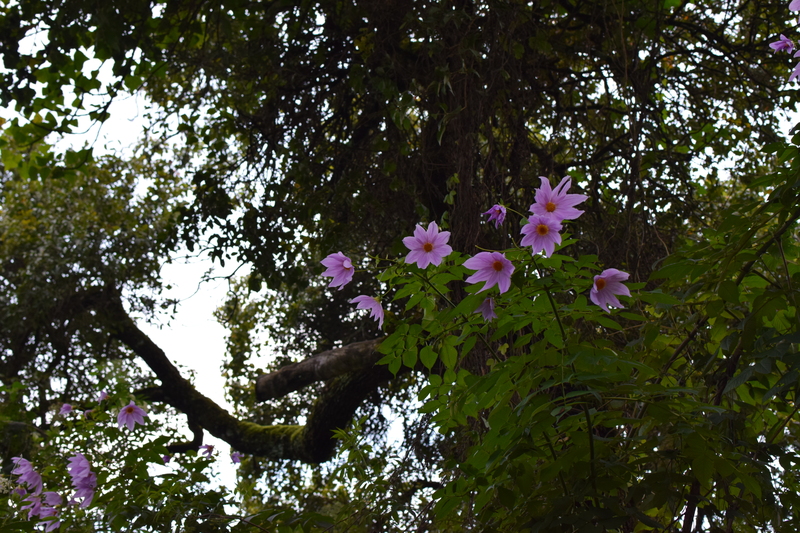 However, since we went during the blooming season of Kurinji flower, the purple hues of the flowers made the surroundings look beautiful. 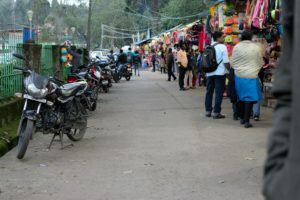 Kodaikanal Lake and Local Market: If you have been to any of the hill stations in South India, you would have noticed that each one of them has three common tourist attractions: a lake, a park and a viewpoint that offers the view of the valley. Kodaikanal Lake is no different. However, it is unkempt and crowded. We skipped boating and instead spent our time exploring the market area which is spread across acres of land. Where to eat: We tried the North Indian cuisine at Hotel Hilltop Woodlands. The items on the menu are limited but the taste is fine. It is a budget hotel. Clean and hygienic, the service provided is also decent. The second option is Punjabi Dhaba. Though the hotel is not a posh looking one, yet the taste is something that lingers on your taste buds for hours. Again, this, too, is a budget hotel. During the day while travelling, we halted at a food court near Vattakanal Falls for lunch. We devoured street food majorly and enjoyed the aroma of Kodai kitchen well. The next day we left our hotel by 9:00 AM and followed the route given in the map provided above. We began with Upper Lake Viewpoint which is basically an area atop a mountain and it overlooks the Kodaikanal Lake in a distance. With a splendid view and the cold air brushing against your face, the journey to the stop will be exhilarating. One cannot help but marvel at nature’s magic when one enters the world of the majestic pine trees that stand tall and are vast spread. 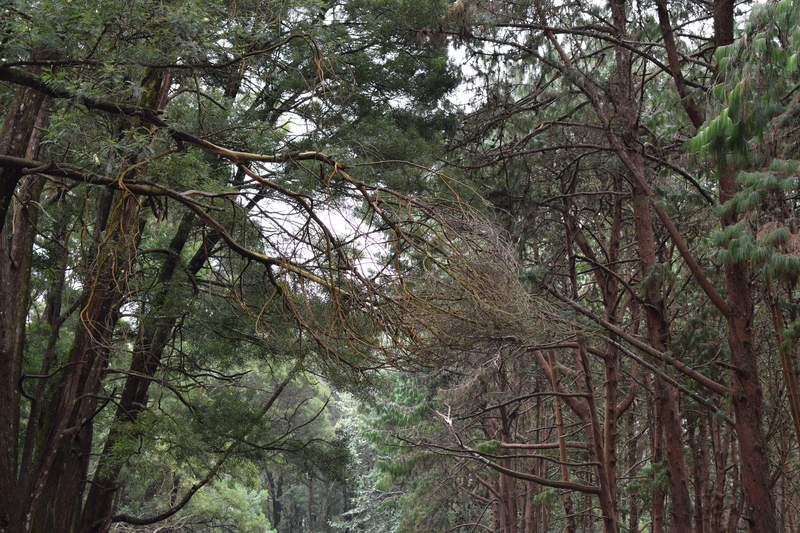 There is no entry fee for the Pine Forest. The brown tinge of the forest merges well with the soil. Camping is allowed after taking permission from the concerned authorities. The sad part is the crowd and the traffic. With so much rush, it becomes difficult to enjoy the quiet and calm of nature. Following the Pine Forest, we made our way to the Guna Caves. Also known as Devil’s kitchen, Guna Caves are enormous caves that were once believed to be the kitchen of the Pandavas. However, after some time, several incidents took place due to the paranormal activities inside the caves. The caves were shut down from there on. Nevertheless, people are allowed to view them from outside and enjoy the spine-chilling view of the Shola trees that have their roots popping out. Following Guna Caves, we went to the Pillar Viewpoint that has three large boulders right in the front. Often these boulders are covered in white of the clouds but if you are lucky enough, you can enjoy the beauty of the surroundings. Green Valley Viewpoint is a similar viewpoint that overlooks the valleys. There is nothing great about this viewpoint. You can opt for this if you go during offseason and the rush is less. 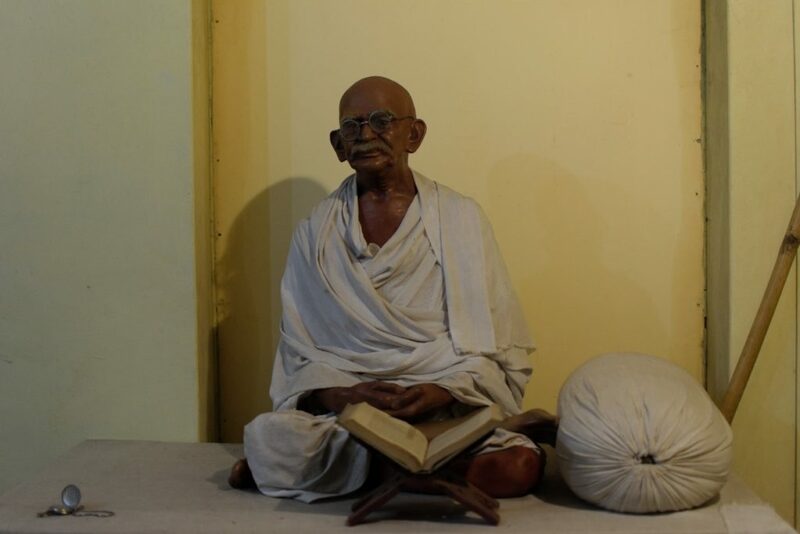 Wax Museum in Kodaikanal is like any port in the storm. 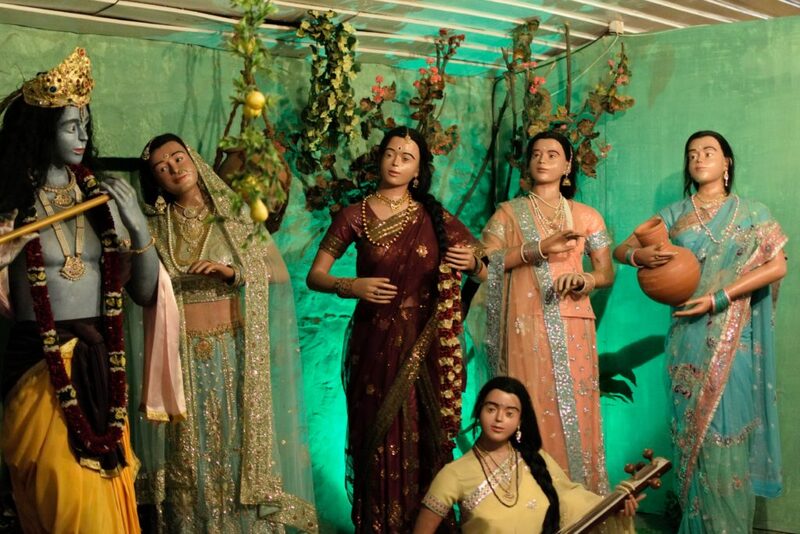 It doesn’t have many wax statues and in spite of that, the maintenance is low. Liril Falls was our next stop. 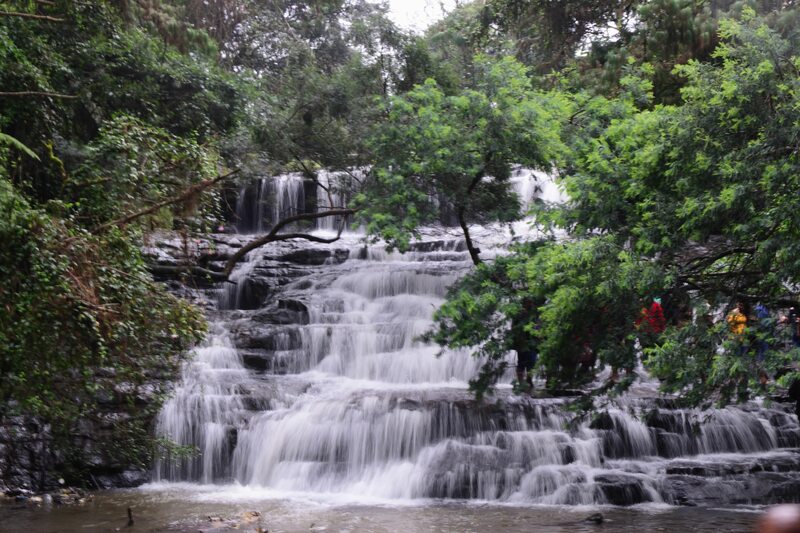 This is a small waterfall that is known for being featured in Liril ad. There is no trek involved to reach this waterfall. There are a lot of shops on the roadside and there are plenty of options for lunch as well. 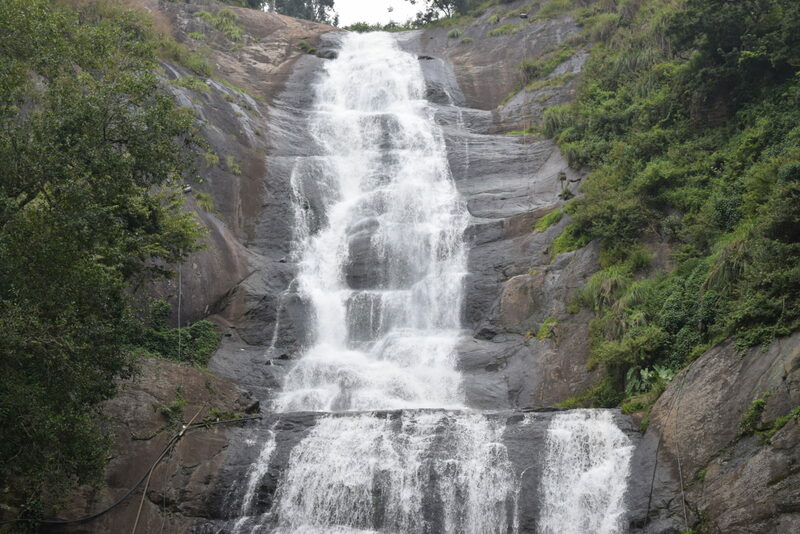 Vattakanal Falls: One can reach here by taking a diversion after Liril Falls. 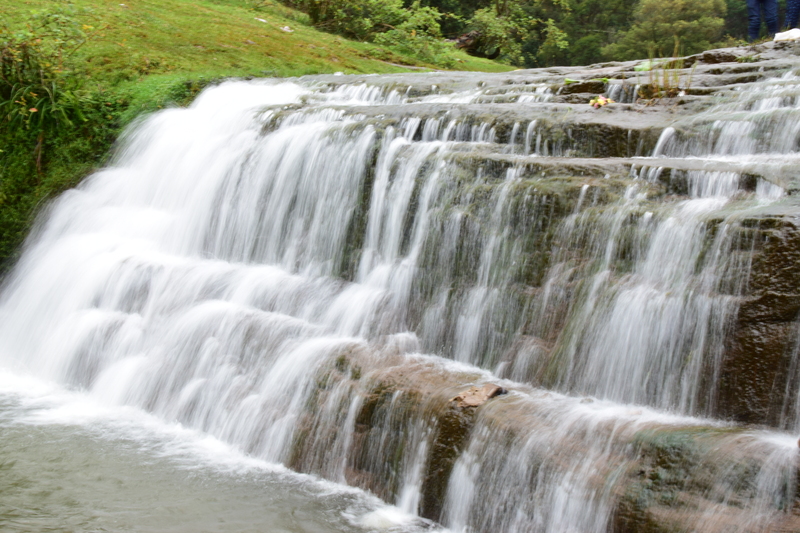 Since the road to the falls is very narrow, it is better to walk down the 1km road and enjoy the peace and serenity of the place. Parking becomes a problem if you decide to take the car. Vattakanal Falls is beautiful. People can bathe or dip their feet. There is no entry fee. A little beyond the Vattakal Falls is the Dolphin Nose. It is similar to the Dolphin Nose in Coonoor. After this, we stopped for lunch. The day was not over yet. We trekked to Bear Shola Falls as well. It is a 1 km trek but it doesn’t invite many visitors. An unpaved path that has wild plants on either side is something to look forward to in this trek. 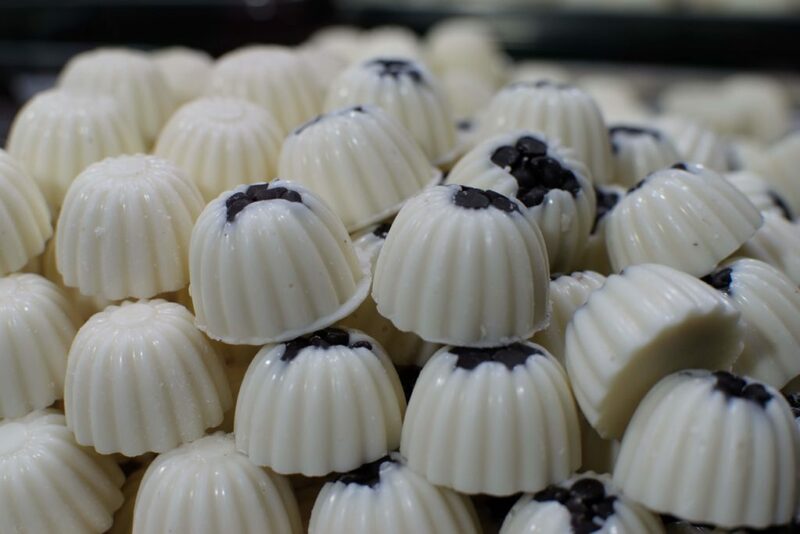 Last but not least, we re-visited the Kodai Market and bought the souvenirs and chocolates. We woke up late and caught up on sleep. After finishing our breakfast, we started for Bangalore. 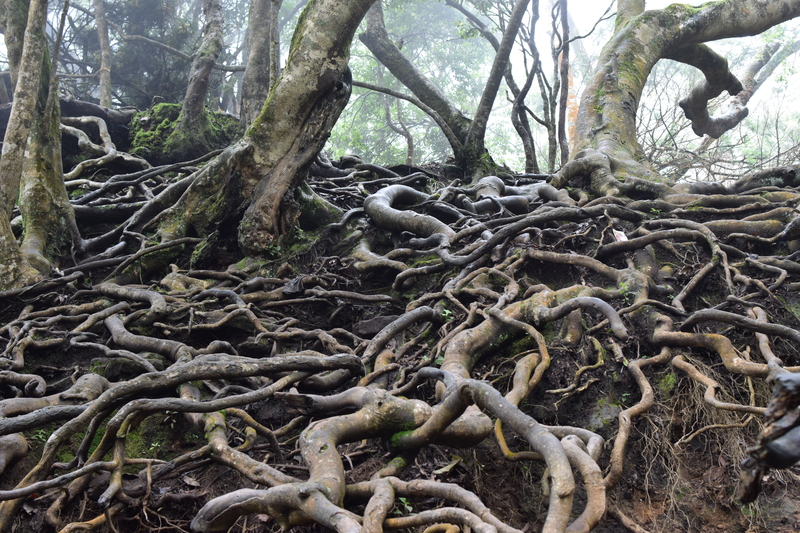 Our trip to Kodaikanal was a much-needed break from the monotony of chaotic life. 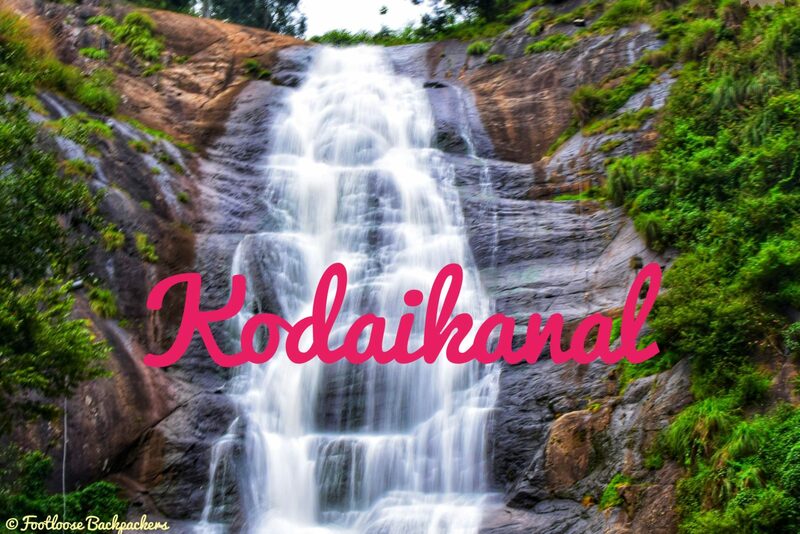 One Liner for the trip: Kodaikanal offers the variety that adds spice to the life. Till the next time, Happy Travelling!